Sri Krishna Dwadashi (also known as Vasudeva Dwadasi) is an auspicious date dedicated to Hindu God Krishna and is observed in the Ashada month in North India. 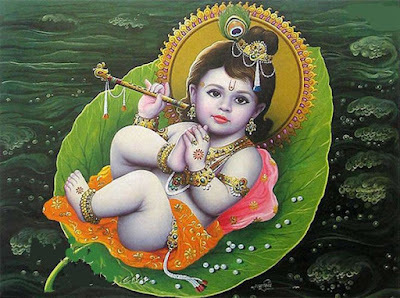 Sri Krishna Dwadashi 2019 date is July 13. It is falls on the 12th day, or Dwadasi day, during the Shukla Paksha, or waxing phase of moon, in Ashada month. Importance of Vasudeva Dwadasi is found in the Varah Purana. Deva Rishi Narad mentioned about this vrat to Vasudeva and Devaki (father and mother of Sri Krishna). This Dwadashi is highly meritorious and is observed by different names throughout India. It marks the beginning of the Chatur Mas Vrat. The previous day is known as Dev Sayani Ekadasi. The day is dedicated to Bhagavan Sri Krishna - the Vasudeva form of Krishna is worshipped on the day. Visiting Krishna temple and chanting the names of Sri Krishna or reading the Srimad Bhagavad Purana chapters dedicated to Krishna. Feed cows with green grass, jaggery and roti helps in attaining peace and prosperity.